"Judicial Watch today released 224 pages of documents containing nearly 1,000 summaries of Significant Incident Reports (SIRs) from the U.S. Department of Health and Human Services (HHS) revealing that “Unaccompanied Alien Children” (UAC) processed during the Obama administration included admitted murderers, rapists, drug smugglers, prostitutes, and human traffickers," the group released in a statement. "The documents, from the HHS Administration for Children and Families reported to the Office of Refugee Resettlement (ORR), are for the approximate six-month period May to November 2014. They were produced to Judicial Watch after a three-year delay in response to a November 12, 2014." Judicial Watch breaks down the incident reports, which span 224 pages, into four categories. They also detail a number of violent incidents carried out by MS-13 gang members and minors who worked for cartels. 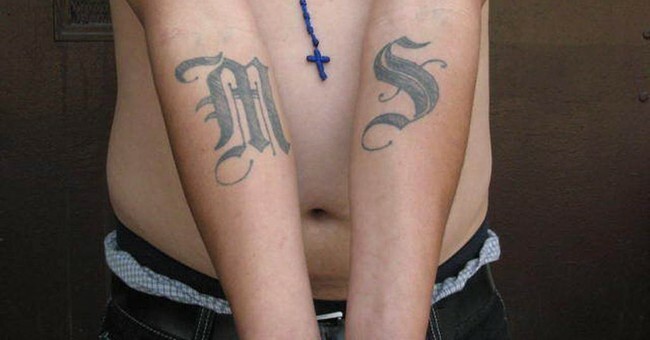 -A male UAC being cared for at the Heartland International RC Facility reported that he had been an MS-13 gang member for a year before coming to the U.S.
-A male UAC cared for at the Heartland ICRC (International Committee of the Red Cross) facility reported to staff that he had been “made to” kill three people by a drug cartel. This information is backed up by Townhall reporting from 2014 about MS-13 using detention centers along the southern border with Mexico as recruiting centers for new members.